Please click on a picture to view larger images. Illinois Chapter President Wayne Silvius with his wife, Esther, and his prize-winning car at Barsema Alumni and Visitors Center parking lot, Northern Illinois University. Dr. Alan Hathaway of Davenport, IA, owns the Ten Millionth Ford Model T ever made. In June of 1999, he drove it across the country from New York to San Francisco on the Lincoln Highway, Contributed by Cynthia Ogorek. Illinois Chapter State Director Kay Shelton’s 1988 Jaguar XJS. The Jaguar wearing its parade ‘clothes’ waiting for the start of the City of DeKalb’s Sesquicentennial Parade, October 21, 2006. Twelve cylinders and electrical by the ‘Prince of Darkness’ , Lucas. A Beautiful 1934 Buick Series 61 4-Door Sedan (License Plate OLDRNME) Owned by Ohio Chapter members Bob and Diana Evans. 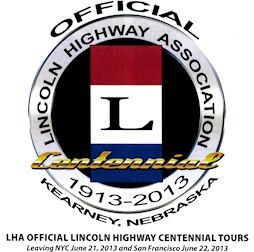 2003 Lincoln Highway Anniversary Cross Country Tour. 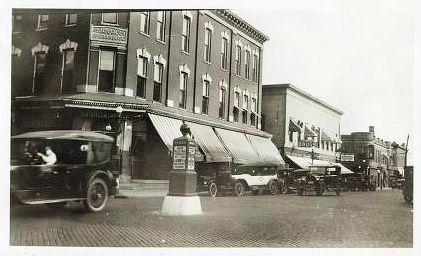 Cortland, Illinois. If you have travel and/or vehicle photos, please email them to us. All photos by Kay Shelton unless otherwise noted.